DOB - November 14, 2001 ASCA DNA - Certified Parentage Eyes - normal with no notations; cleared yearly AHT DNA Hereditary Cataract (HSF4) test - clear Hips - OFA Good MDR1 - normal/normal Height and Weight - 19" and 42 lbs. Erin is a sweet, loving companion with tons of personality. She loves everybody and cherishes the attention anyone will give her. She is a lovely girl with the most stunning sidegait and is perfectly celan coming and going. In limited showing with Pat Clark, her co-owner, she has earned 13 points taking Best of Winners several times. She has 1 major and several major reserves. 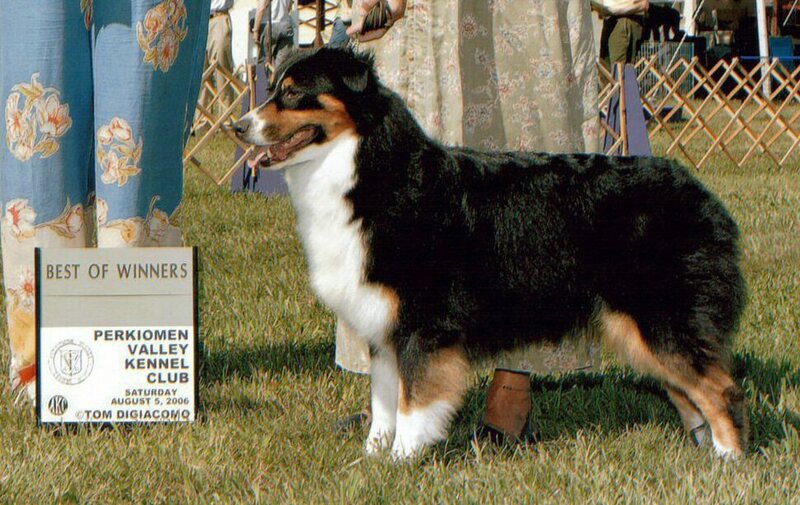 She has pointed offspring and her sister is CH. Legacy's Catch the Spirit. 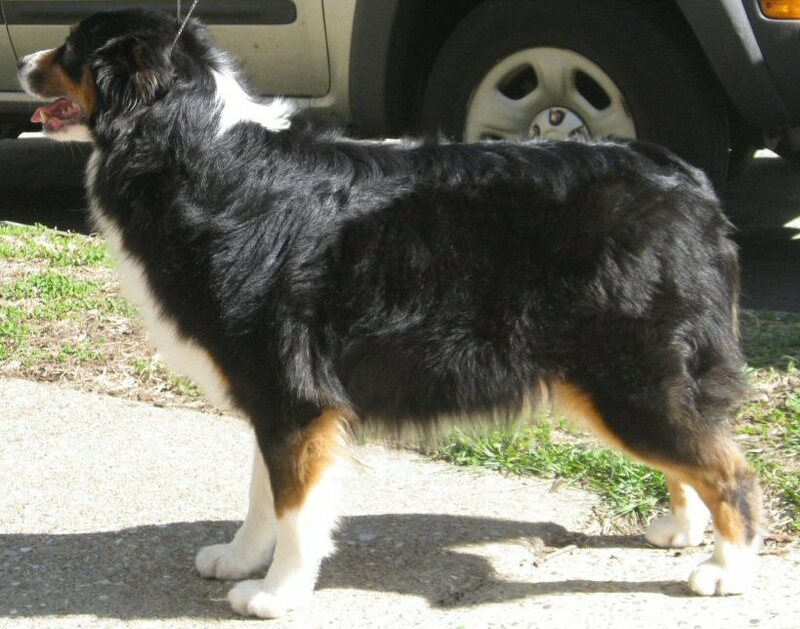 Click here to see her pups that were born April 15, 2009.